There are several companies, organizations, and publications that specialize in the preservation and restoration of Pontiacs. 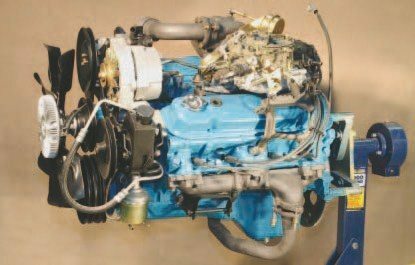 While vehicle restoration is a topic large enough to fill its own book, many of these sources can help identify and document Pontiac engines, so you can correctly restore your Pontiac engine to a factory-fresh appearance and they can provide you with an exhaust system to make your Pontiac look and sound as it did the day it was delivered. The Firebird was Pontiac’s most popular vehicle in the late 1970s. More than 211,000 were produced in 1979 and more than half of them were Trans Ams. Several thousand 400s were stockpiled during 1978 model year production for use as T/A 6.6 engines in 1979 Trans Ams. These were the last 400-powered Pontiacs ever produced. The hobby is full of restoration parts suppliers, and high-quality reproductions can be purchased from any number of them. It’s unlikely that the Pontiac hobby finds stronger support than in two of the companies: Ames Performance Engineering, and Performance Years. True Pontiac enthusiasts founded and operate both companies, which specialize in Pontiac restoration components. Both companies bring parts trailers to serve customers at various Pontiac events across the country. Ames Performance Engineering (APE) has supported Pontiac hobbyists with top-quality reproduction components for the past 30 years. In addition to a number of suspension components, interior pieces, and body panels, APE offers a complete line of reproduction engine components. It has even created a number of its own proprietary reproductions. Those include small brackets, chrome valve covers, and a cast-aluminum timing cover and oil filter housing. APE can fulfill all your Pontiac restoration needs. In its 20 years of supporting the Pontiac hobby, Performance Years (PY) has made a name for itself as a premier reproduction-parts supplier providing hobbyists with high-quality reproduction body, interior, and suspension pieces. Its engine component line includes a wide array of quality reproductions, some of which are exclusive to PY. Those include small brackets, throttle linkages, fuel filters, and vacuum hose harnesses. Performance Years also produces Pypes Exhaust, which is a high-performance line of complete exhaust systems. PY also hosts one of the most popular Web forums on its website. Pontiac’s 301 received forcedinduction when a turbocharger was added in 1980, adding more than 50 hp to the naturally aspirated 4-barrel mill. To accommodate the added cylinder pressure, the block received additional material in high-stress areas and the crankshaft was specially prepared. Availability was limited to the Firebird Formula and Trans Am. The 1968 to 1972 A-body vehicles remain an excellent foundation for performance enhancements. Unique GTOs and those with The Judge package are likely too valuable to modify, but entrylevel Tempest and LeMans models can be purchased reasonably. The aftermarket abounds with restoration and suspension components. Gardner Exhaust has long been considered a premier reproduction exhaust company. It specializes in exhaust systems that are authentic reproductions, with careful attention given to exact appearance and sound. 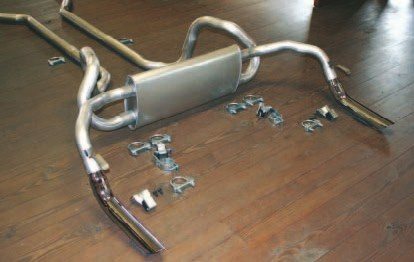 Gardner Exhaust systems fit and function just like factory pieces, and even include exact reproductions of the hangers, clamps, and tail pipe extensions for installation. Complete systems are readily available for most 1967 to 1974 Firebirds or a 1964 to 1972 LeMans or GTO. To many Pontiac hobbyists, it’s difficult to find a more impressive sight than a fully detailed Ram Air V-8. The subtle contrast created by a light-silver-blue block, natural cast-aluminum intake manifold, and highly polished chrome valve covers can be breathtaking for any enthusiast. Engines, like this 1969 Ram Air IV, are full of small details that require careful attention. 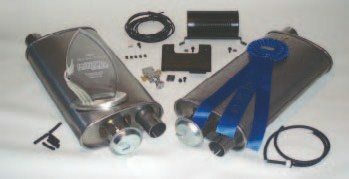 Waldron Antique Exhaust reproduces exhaust systems for Pontiac applications with mufflers specifically designed to recreate the original Pontiac sound. 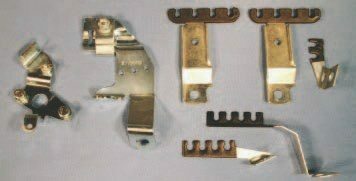 Unlike some of its competitors, Waldron has the ability to customize certain pieces for an application. It can modify its mufflers internally to attenuate a specific sound without compromising the factory look. In addition to custom pieces, Waldron also recreated the now-popular Vacuum Operated Exhaust (VOE) system from 1970. When it comes to pre-bent fuel lines, Inline Tube is considered an industry leader. Only recently has it begun offering reproduction exhaust systems that look and fit like the originals. In some instances, the reproduction mufflers are modified internally to improve airflow and performance without compromising the factory look. To complement its reproduction exhaust systems, Inline Tube also offers reproduction exhaust hangers, clamps, and tailpipe extensions. Performance Years offers exact reproductions of many small-engine brackets to replace missing originals during a restoration. These particular units retain the throttle linkage and spark plug wires. Certain examples are even marked with the proper part number, just like an original. Pontiac engines were always painted some shade of green or blue over the years. The most popular colors seem to be the light-blue and light-metallic-blue hues that Pontiac used during the 1960s and 1970s. While some colors are available in spray cans and easily found at local auto-parts stores, those colors are usually just close to that used by Pontiac, not exact. Supercar Specialties restores all types of Pontiacs, and owner Scott Tiemann has spent a great deal of time researching and mixing colors to produce exact matches to the colors that Pontiac used. Supercar Specialties offers any Pontiac-type blue that an owner many need in a quart can. Bill Hirsch Auto is one company that offers several Pontiac engine enamels in aerosol cans or quart containers. OEM Paints specializes in reproducing all types of automotive finishes. The company has documented original colors and offers a wide variety of Pontiac engine paints in easyto-use aerosol cans. 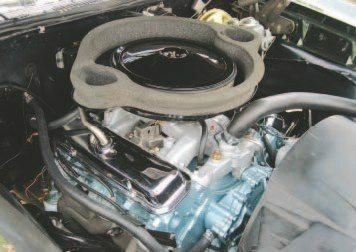 Unlike other conventional engine enamels, however, OEM Paints’ engine colors are uniquely formulated to increase heat dissipation and resist grease and grime, keeping its engine colors looking new longer. I have found OEM Paints products are an excellent choice when attempting to correctly detail a Pontiac engine. Documenting certain vehicles can be impossible without original paperwork. It usually wasn’t saved by the original owner or passed on to the next. That can leave the authenticity of many vehicles in question. That’s not the case for Pontiac hobbyists. Pontiac saved the vehicle billing history or invoices that it sent to its dealerships for many years. Enthusiast Jim Mattison was fortunate enough to take possession of the documents up to the 1986 model year. Mattison’s company, PHS Automotive Services, provides hobbyists with production data, technical information, and detailed paperwork that can be used to document a specific Pontiac from 1961 to 1986 for a nominal fee. It’s an excellent resource that can verify the authenticity of a certain Pontiac or its optional equipment, possibly preventing a potential buyer from purchasing a misrepresented example. General Motors of Canada offers a similar service for any Canadian-built or Canadianshipped Pontiac from 1945 forward. 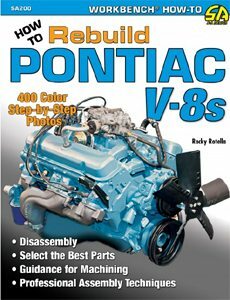 There is one Pontiac-specific magazine available to newsstand shoppers and subscribers today. 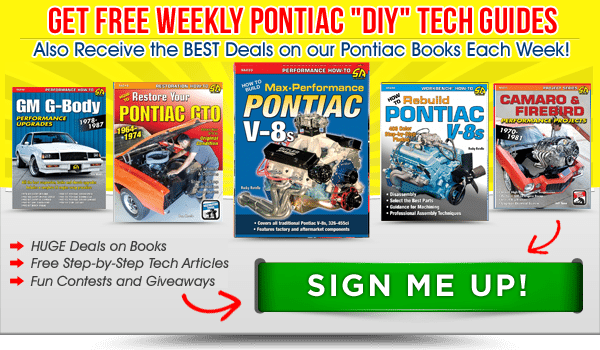 In addition to various vehicle features, High Performance Pontiac has been delivering detailed articles on the technical aspects of the Pontiac V-8, new components and product reviews, and high-performance engine buildups to its readers since the early 1980s. It is an excellent monthly publication. In addition to local owners clubs, there are several national clubs that serve the Pontiac hobby. The three major Pontiac organizations host annual national conventions, drawing attendees from across the country. The clubs distribute publications, have major shows where vehicles are judged for complete correctness, and provide members with knowledgeable advisors that are willing to provide detailed technical support. If you’re just beginning in the hobby, joining such a club may be a very worthwhile investment. The rubber grommets used to seal a Pontiac’s PCV system have often rotted from years of underhood heat. Replacements may be only as far away as the HELP section of your local auto parts store. 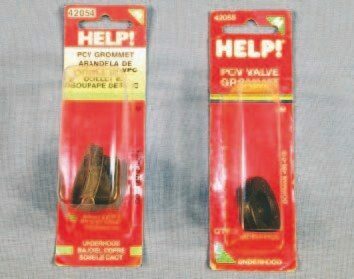 HELP number- 42054 is the PCV valve seal that presses into the valley pan while number-42055 is the small grommet that slips into the valve cover. If your local parts store doesn’t stock either piece, it can likely have them for you in a day or two. The GTO Association of America (GTOAA) is comprised of a large group of GTO owners sharing a common interest: preserving and promoting GTO heritage. Its awardwinning publication, Legend, contains technical information about GTOs, club and hobby news, and member features. The annual GTOAA convention is an event that any Pontiac enthusiast—even more specific, any GTO enthusiast—should attend. The show field is routinely comprised of several hundred GTOs, some of which are the rarest and most desirable ever produced. The National Firebird and Trans Am Club (NFTAC) is an organization comprised solely of Firebird enthusiasts. The club provides a wealth of technical information about Firebirds of all years for its members. Its annual convention, the Trans Am Nationals, is held in Dayton, Ohio, each August and attracts several hundred Firebirds from around the country. The show includes specific classes where Firebirds can be judged for correctness. The NFTAC is an excellent organization for any Firebird enthusiast. The Pontiac Oakland Club International (POCI) boasts the largest membership of any Pontiac-related club. Its goal is to pool resources to provide members with the best opportunity to preserve and restore any Pontiac. Its publication, Smoke Signals, is an excellent resource full of club and hobby news, technical information, member features, and classified ads. The annual POCI national convention features several hundred Pontiacs gathered in a single location. Many of the individual specialty chapters hold their own events throughout the year as well. It’s truly an experience no Pontiac owner should miss. The Internet information age is upon us and it has fueled the Pontiac hobby to some degree. A quick Web search on a Pontiac topic provides a number of links to enthusiasts’ personal Web pages. While those personal pages are only as accurate as its owner’s knowledge, there are several Web-based forums where hobbyists can interact—posting real questions and receiving accurate replies. An engine rebuild presents the perfect opportunity to correct any underhood issues. 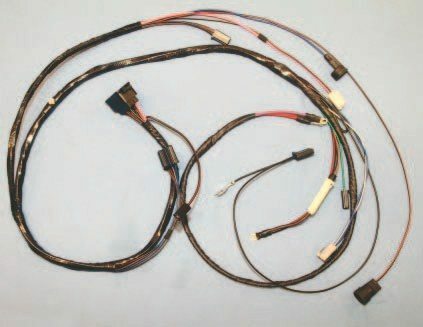 Often the original wiring harness has weathered from years of use, which can cause it to deteriorate or fray. M&H Electric Fabricators’ reproduction wire harnesses fit and function just like an original, and even contain original-type connectors for correct appearance and easy installation. M&H can also replace the original resistor wire in points-type harnesses with a 12-volt source when converting to HEI. There are a number of Web forums that can provide information on how to improve your Pontiac’s appearance or performance. I regularly visit Bill Boyle’s www.pontiacstreetperformance.com, Chris Casperson’s www.performance years.com, and Rich Miller’s www.classicalpontiac.com. There are many others that are model specific such as Mike Barefoot’s www.tran samcountry.com. Any of these Web forums, and many more, can be an invaluable resource when rebuilding, restoring, or modifying any Pontiac. I have found that OEM Paints’ complete line of Pontiac engine colors are a close match to Pontiac originals. OEM Paints’ engine paint is specially formulated and contains ceramic and other proprietary materials. The company states the materials deliver increased bonding strength that flexes during thermal expansion and contraction, and actually get stronger with use. 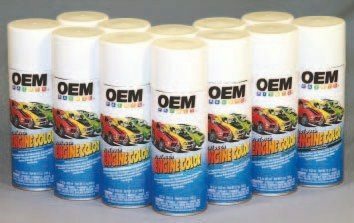 OEM Paints’ engine colors resist gas, oil, rust, and grease, and are dyno proven to withstand intermittent engine temperatures up to 500 degrees F. OEM Paints has any shade of Pontiac blue available in an easyto- use aerosol can.